Application forms are designed to collect most significant values of the candidates, but it is also a fact that sometimes candidates are not organized in filling online Job applications. In recent years, employers have shifted the entire recruitment process online, to make it simple, easier and quicker. To get maximum high qualified candidates, employers may use different varieties of questions and techniques to screen the candidates. But most of the candidates do not fill their online job application in an organized manner. Job applicants must spend proper time on their online job application. 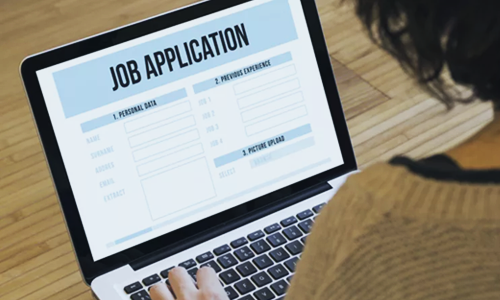 Six out of ten candidates have serious issues in their online job application such as incomplete forms or submission of the forms after a deadline. Candidates must label each of their documents and attachments in an organized manner, they must state the job title, name and date. Always try to make it easy for your employer or manger to access your Job Application and additional documents such as your CV, certificates and experience letters. You have to demonstrate you unique qualities and the values to create a strong impact in the sight of the employer. Mention your expertise in your job application or your CV. It’s better to manifest your enthusiasm and personal interest for the Job. The whole process of recruitment is going to be technology-based in the future. So, it’s a time to master our skills of online job applications.